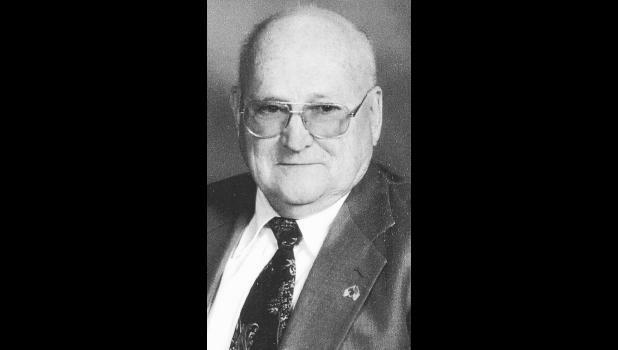 Albert “Al” W. Richardson, 88, Holton, died Wednesday, Jan. 30, 2019, at Holton Community Hospital. He was born Sept. 9, 1930 at Oakley, the son of Alvin and Alice Bogart Richardson. He graduated from Oakley High School in 1948. Mr. Richardson worked at Goodyear Tire and Rubber in Topeka, retiring in September 1992. He was a member of Evangel United Methodist Church in Holton. He married Dorothy Doherty on Sept. 24, 1950 at Colby. She preceded him in death on June 15, 2000. Survivors include a son, Steven Richardson (Mary), Holton; three daughters, Karen McDonald (Chris), Frankfort, Linda Richardson, Glendale, Ariz., and Marvene DeVader (Henry), Hoyt; his girlfriend, Mary May, Holton; nine grandchildren, Shawn, Denise, Charles, Clifton, Jessica, Jenny, Jandy, Kayle and Mason, 26 great grandchildren; and one great-great-grandson. A visitation will be held from 4:30 p.m. to 6:30 p.m. Friday, Feb. 1 at the Evangel United Methodist Church Family Life Center. Inurnment will be held later in Holton Cemetery.